Macroeconomics is kind of a big deal. Without it, we wouldn't have the ability to study the economy as a whole—which is something that affects almost every aspect of your life, whether you realize it or not. From your employment status to how much you earn and pay in taxes, macroeconomics really matters. 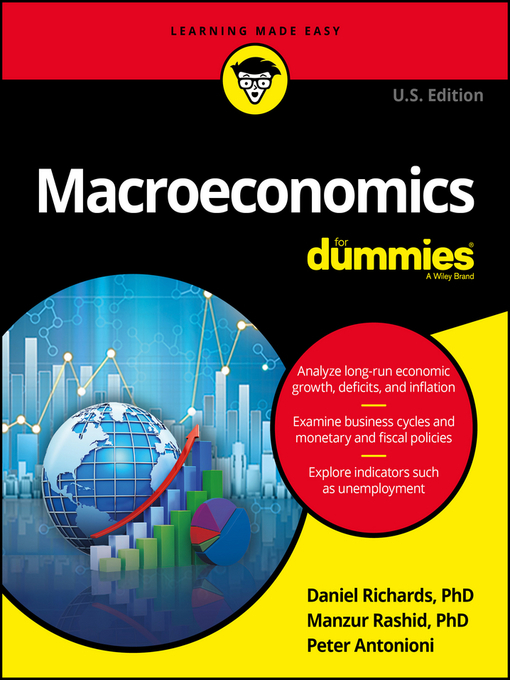 Breaking down this complicated and fascinating topic into manageable pieces, Macroeconomics For Dummies gives you fast and easy access to a subject that has a tendency to stump the masses. With the help of this plain-English guide, you'll quickly find out how to gather data about economies to inform hypotheses on everything from the impact of cutting government spending to the underlying causes of recessions and high inflation. Filled with step-by-step instruction and enlightening real-world examples, this is the only book you need to slay the beast and make macroeconomics your minion!